We’ve created traditional festive Limited Edition line for Bulbash company. The bottles look like the real decoration on the table and simultaneously super-noticeable on the shelf. The bright shining bottles remind the Christmas decoration what is topical on the Christmas eve. It’s a mirror toys for adults’ holyday table. 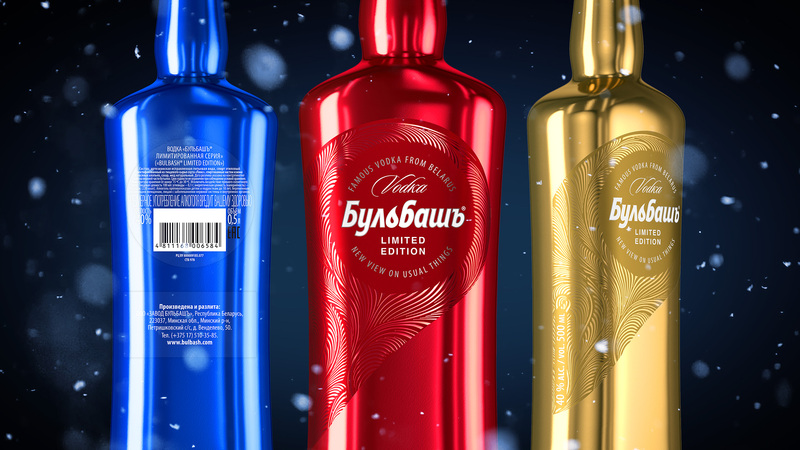 Magnificent frosty patterns on the label and the key visual intensify association with winter holidays. But at the same time the design is rather universal to be suited for any celebration at all seasons of the year.